Lagos State Government has released hundreds of routes where motorcycles and tricycles (aka Okada and Keke) are banned. The list, published on the State Government’s official website, includes major highways, bridges. ￼On Wednesday, the State reconstituted the Joint Security Task Force established to tackle Apapa gridlock and other security threats within the axis. Briefing Government House ccorrespondent, Commissioner of Police, Imohimi Edgal assured that the Task Force would ensure that Apapa roads were not totally locked down, and also prevent criminals from taking advantage of the gridlock. On clampdown on Okada on restricted routes, Edgal said security agencies have been given marching orders to strictly enforce the traffic law, and that no breakdown of law and order would be condoned. He appealed to transport unions to impress it on their members to obey traffic laws, warning Okada and Keke riders to not only refrain from restricted routes, but also use helmets both for rider and passenger and not carry more than one person at a time. 38. Cowry Bridge (Officers Mess) Lagos Island/Eti-Osa Local Government. 39. McWen Bridge (Bonny camp) Eti-Osa Local Government. 40. Marina/Ikoyi Bridge Lagos Island/Eti-Osa Local Government. 41. Ikoyi/Obalende Bridge Eti-Osa Local Government. 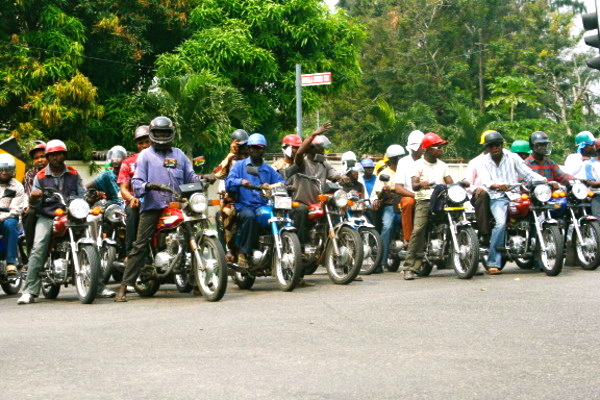 The Lagos State Government has released a full list of hundreds of routes where motorcycles and tricycles are banned across the state.